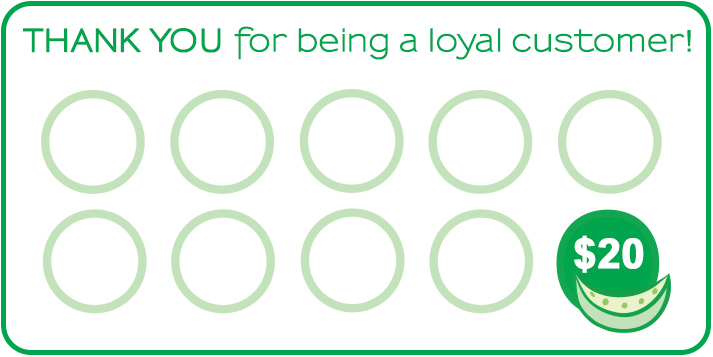 As a thank you for your continued loyalty, The Honeydew Nail Spa is proud to introduce our Customer Loyalty Program! Get one stamp for every $20 you spend. After 10 stamps, the next $20 you spend will be on us! The $20 gift can be applied towards any service we offer. This program is FREE and is presented as a courtesy to all of our gorgeous clients. The entire gift reward must be used in one visit. Clients are responsible for retaining the loyalty card.